Kem T GP Epoxy Putty compound is a two component room temperature setting, easy to use multi-purpose putty. We are affianced in providing a wide assortment of 3 Component Epoxy Resin Putty. - Three component Epoxy Resin Putty Biased Optimum protection from corrosion provided by Excellent adhesion to iron and steel. - Can be welded through Can be applied by Putty. Epoxy putty is used for repairing. EP PUTTY is a three-component epoxy resin system to fill the cracks, patches as holes in concrete flooring before applying epoxy floor or wall coats. EP PUTTY gives good bond strength to the repaired substrates. We provide highly durable and reliable range of epoxy putties. 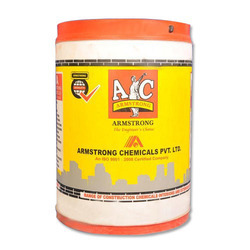 These can be used for sealing, joining, repairing, insulating and water proofing a variety of materials. Our range includes titanium putty, aluminum putty and leak repair putty. The entire range of epoxy putties is procured from the best manufacturers. We are distributors from Andhra Pradesh. Inpac Waterproofing Constructions Chemicals Co.